As an account manager, you can add a user to your account. You can make these users “Site Managers” so they can use the scan functions on the web app and use the free QualEpass app. Site Managers can’t add, edit or remove passes, they can only scan and add locations. You can do all of this from the Users page in the menu. 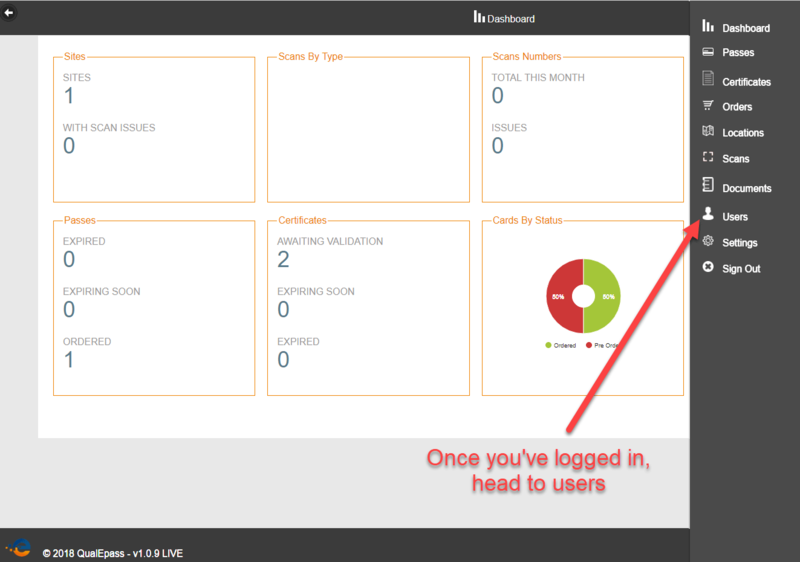 In the users page you can see all of the users in your company, their emails and their account type. Above the Users list, there’s a button to add Users. Click on the button to add a User. To add a new User, you must enter in their details. The most important parts are the Users email and their access type. The new users login details will be sent to the email that you enter, so make sure it’s correct. The access type specifies what type of account the User has, and what level of access they have. If the user will only be using the app to check certs and credentials set it to Site Manager. Finally, click invite user and they will be emailed their details. The new user will have their username and password emailed to them. Their username will always be the email you entered in for them. Once they have their details they can start using the QualEpass app. As an account manager, you can add a user to your account. 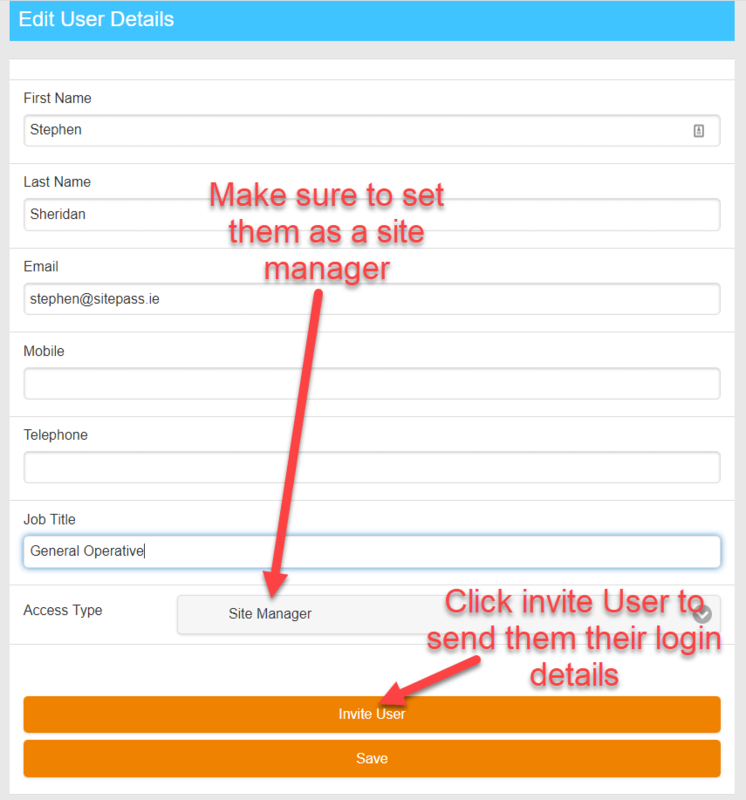 You can make these users “Site Managers” so they can use the scan functions on the web app and use the free QualEpass app. Site Managers can’t add, edit or remove passes, they can only scan and add locations. If you haven’t registered yet, you can go to the Register page here. 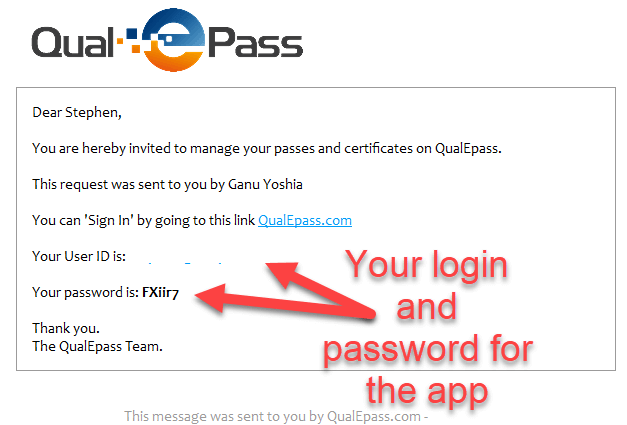 If you haven’t installed the app yet, you can learn about it here and you can download the QualEpass Android app here.